By now, there's a good chance that you've taken in a screening of Bohemian Rhapsody. After all, the Freddie Mercury biopic earned the second-biggest start of all time for a music biopic (coming in just behind 2015's Straight Outta Compton) and has, to date, taken in $802.5 million globally on budget of just $52 million. 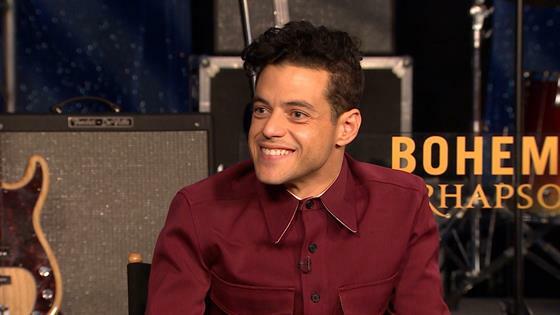 So, not only did the Rami Malek-starring film make Fox a lot of money, earning two Golden Globe wins (for Malek as Best Actor in a Motion Picture—Drama, as well as Best Motion Picture—Drama) two Screen Actors Guild Nominations (one for Malek and one for the entire cast) and five Academy Award nominations (including Best Actor for Malek and Best Picture), it also had a lot of people paying attention to its version of Mercury and his band Queen's story. And while we're happy for all involved, we have to admit that the success is a little bit troubling. Why, you ask? Well, only because of just how much the film, directed by Bryan Singer (until he was fired and replaced with Dexter Fletcher, that is) with surviving band members Brian May and Roger Taylor serving as creative consultants, gets wrong. Don't get us wrong, it's not easy to take someone's life, especially one as wild as Mercury's, and distill it into a easy-to-follow two-hour narrative. But the changes made here, these intentional distortions of the band's history, are plentiful. And if you walked out of Bohemian Rhapsody taking the film as fact, well, what we're about to tell you is guaranteed to blow your mind. As the movie tells it, a young Freddie Balsura—then still using his family surname and working as a baggage handler at London's Heathrow Airport—happened upon a performance of May and Taylor's earlier band Smile on the very night their lead singer quit, talking his way into the group afterwards in the parking lot. In real life, however, Mercury had been friends with band since early 1969, having met lead singer Tim Staffell at Ealing Art College. By early 1970, when Staffell quit, Mercury had been living with May and Taylor and selling odds and ends at a clothes stall in the Kensington Market with Taylor and had made his ambition to be the band's singer very clear to his pals. He'd also been in and out of a couple of bands of his own prior to the genesis of Queen in April of '70. In Bohemian Rhapsody, Freddie meets Mary Austin, his longtime girlfriend, the same night he met the band, telling her he liked her jacket before finding her at her work, fashion boutique Biba, days later to ask her out. The truth, however, is as complicated as his actual history with May and Taylor. May and Mercury used to frequent the shop to get a look at the "gorgeous" employees, as May explained in the 2000 documentary Freddie Mercury: The Untold Story. And it was May who first dated Austin, not Mercury. "Strangely enough, Mary was the girl that I picked out as somebody fabulous, and I was kind of going out with her," told Yahoo! Entertainment in 2017. "And Freddie came up to me one day and said, 'Are you serious with Mary? Can I ask her out?' And he did, and they were lovers for a long time." In the film, a drunk Freddie makes a very sloppy pass at a server at one of his debauched parties as the evening's turning into early morning and everyone's gone him. He's rejected, but they wind up talking until the sun comes up and years later, the singer looks him up in the phone book and they begin dating. In reality, Hutton was working as a hairdresser in the Savoy Hotel when he met Mercury in the gay nightclub Heaven in March of 1985. They remained together until Mercury's passing of AIDS-related bronchopneumonia in 1991. In the film, Mike Myers gets a cheeky cameo as EMI record executive Ray Foster, who tells the band that he won't release "Bohemian Rhapsody" as a single, arguing that kids will never want to bang their heads to it in their cars. (Get it? Because Myers' Wayne's World revitalized the track's popularity thanks to a moment where his character does just that.) In reality, Foster didn't exist. He's roughly based on EMI chief Roy Featherstone, who was a huge fan of the band. However, he did believe the song was too long to be a single. In the film, Freddie reveals to the band that he's signed a solo deal behind their back and wants to take a long break, enraging May, Taylor, and bassist John Deacon in the process. In reality, however, there was no estrangement to be heard of while Mercury was recording his 1985 solo debut Mr. Bad Guy, as Queen made 1984 release The Works around the same time before embarking on a 48-show tour from late '84 to mid-'85. At the time, they defied international boycotts by agreeing to play in South Africa during the country's apartheid era, doing more damage to their reputation than any of Mercury's antics ever really did. Oh, and as for the notion that Freddie was the first and only member to record solo? Taylor beat him to the punch with 1981's Fun in Space, his first solo album—something creative consultants May and Taylor conveniently left out of the film. In the film, Freddie reveals to the band that he is HIV-positive during rehearsals for the climactic Live Aid London performance in the summer of 1985. However, while the exact time Mercury contracted the disease remains a mystery, an HIV test taken in 1987 delivered the damning results that were only confirmed when his doctors contacted Austin to deliver the urgent news, as the singer was dodging their calls. And by Taylor's own account, the band wasn't made aware until early 1989. In the film, by the time Freddie and the guys make it to Wembley Stadium for their career-revitalizing 25-minutes performance in the summer of 1985, it had been after years of not speaking or playing together. Of course, this is far from accurate. The last show of their tour to support The Works was just eight weeks before Live Aid. So, while it's certainly more dramatic to have to watch the boys make peace and get back into playing shape just as Freddie's coming to terms with his life-altering diagnosis, none of it happened that way.